Click here to view my intial design thoughts for the Big Kahuna website. 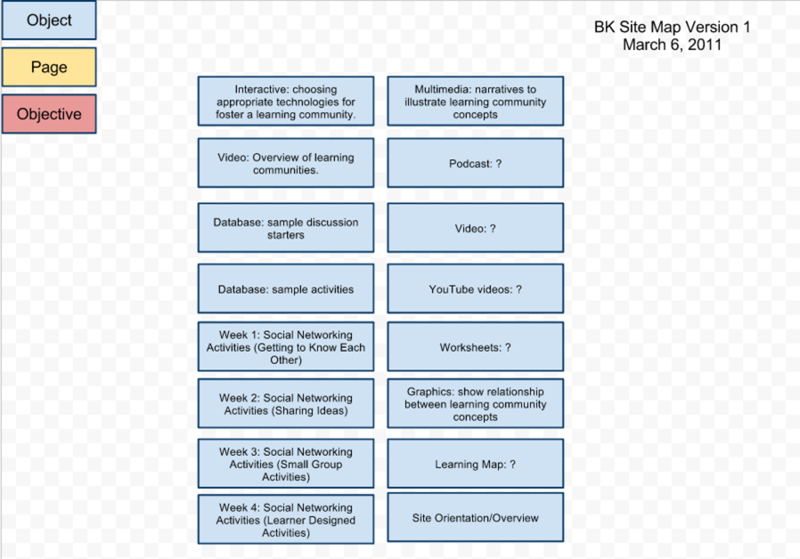 At this stage I have listed all the components I want in the website, but haven’t “cracked the nut” of determining how I want to organize it in a meaningful way on the website. I’d like to create more of the components before I determine an organization. I have included a legend along the side to indicate whether something is a learning object, a webpage that houses learning objects, or the objective of the webpage or learning object.